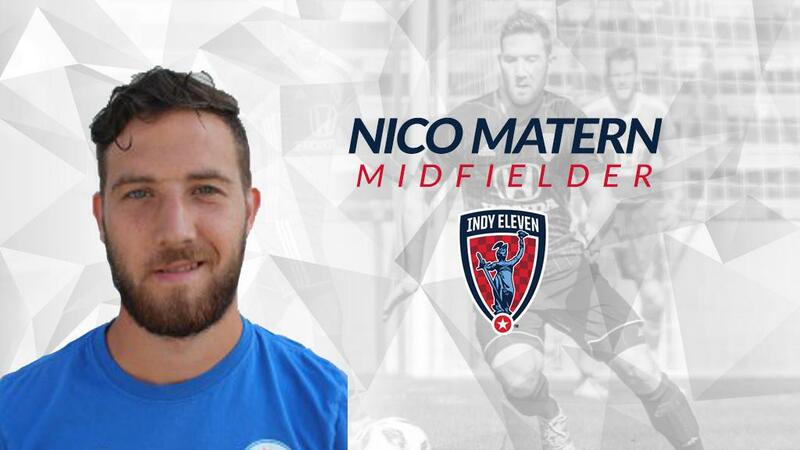 Indy Eleven Professional Soccer announces the signing of midfielder Nico Matern to its 2018 roster pending visa, league and federation approval. Matern, 25, spent the 2017-18 Season with Indiana Wesleyan University, helping the Wildcats register a 12W-9D-2L season, totaling three goals and 10 assists in 21 appearances. Overall, Matern’s performance with IWU earned him National Christian College Athletic Association (NCCAA) All-Team honors. A native of Buxtehude, Germany, Matern began his career playing in FC St. Pauli’s, a second division Bundesliga, youth system. After spending time playing with FC St. Pauli’s Under-17 and 19 squads from 2009-2010, Matern began to make his way around to a number of third, fourth and fifth division teams throughout the German soccer pyramid. Per club policy, terms of player contracts with Indy Eleven will not be released.